Madikizela-Mandela motorcade leaves her home - SABC News - Breaking news, special reports, world, business, sport coverage of all South African current events. Africa's news leader. Mam Winnie' casket, draped in the South African flag was carried by a military hearse. The funeral motorcade has left Winnie Madikizela-Mandela’s home in Orlando West in Soweto. 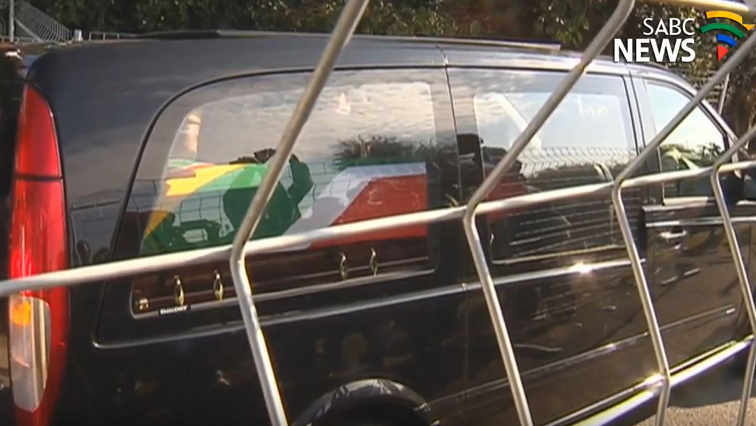 Her casket, draped in the South African flag, is carried by a military hearse – the one that was used for former President Nelson Mandela’s funeral in 2013. It is a sombre moment with members of the MK singing. Foreign and local dignitaries including United States civil rights activist Reverend Jesse Jackson, American religious leader Louis Farakhan and supermodel Naomi Campbell are expected to attend her funeral. Her daughters, Zenani Mandela-Dlamini and Zindzi Mandela, EFF’s Julius Malema and ANC Women’s League president Bathabile Dlamini are among those expected to pay tribute. The ANC tribute will be given by NEC member Fikile Mbalula with President Cyril Ramaphosa delivering the eulogy. From the continent, Namibian President Hage Geingob and Dennis Sassou Nguesso of Congo-Brazaville are billed to speak.